Really chic and cute bedspread for boys from the Sashi collection. This kids quilt is luxurious and made from 100% cotton. 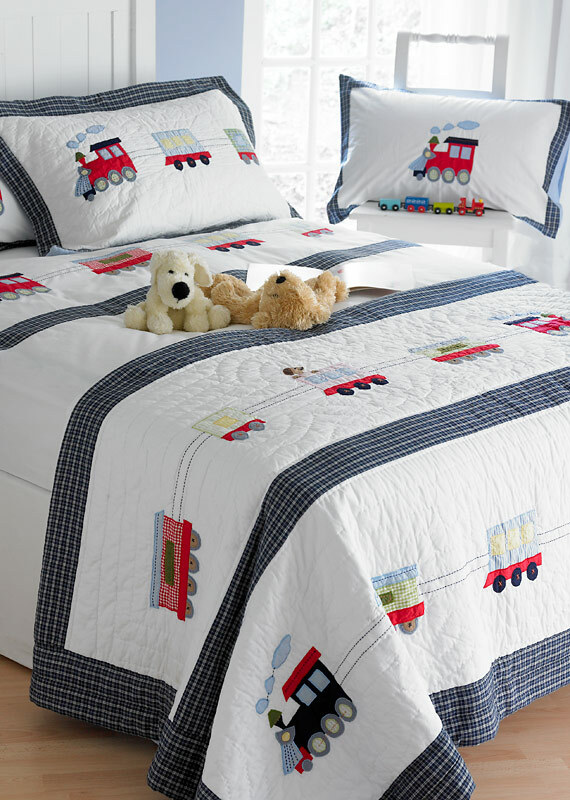 The white padded bedspread has colourful trains and carriages embroidered onto it with a dark navy and white checked border. A warm and decorative item to brighten up any boys room.